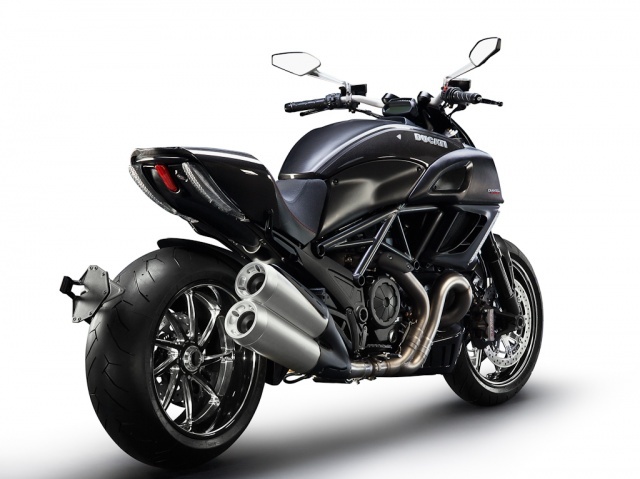 2011 Ducati Diavel Carbon in "black carbon". 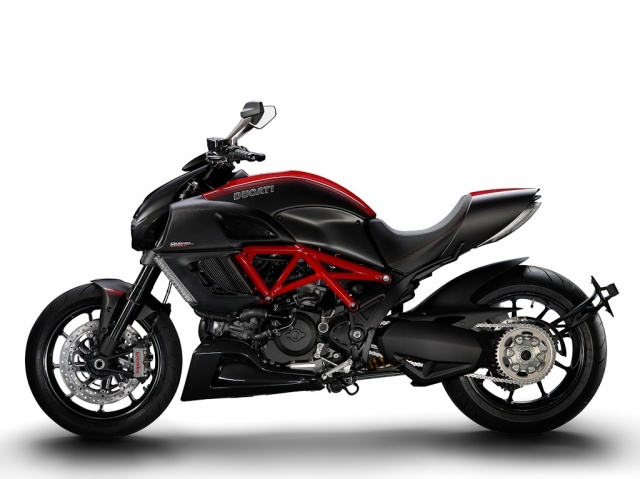 2011 Ducati Diavel in Ducati Red. 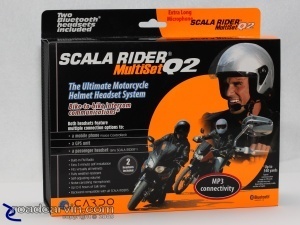 The Scala Rider Q2 MultiSet is a Bluetooth-compatible communications system offering two-way rider communication, ability to take and make mobile phone calls, GPS integration, and MP3 player connectivity (mobile phone, GPS, and MP3 require user-supplied compatible equipment). 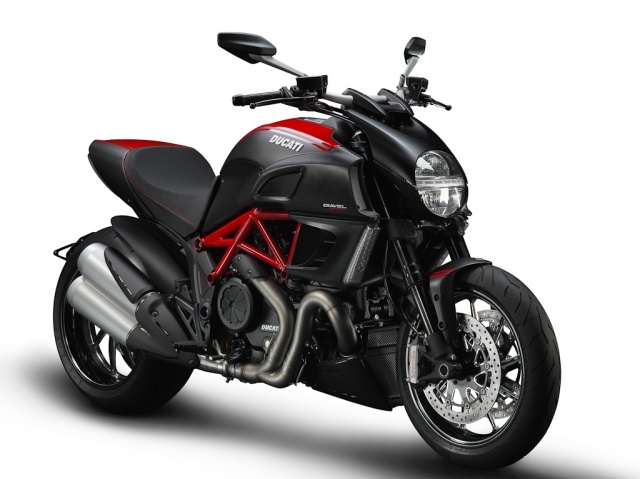 The Scala Rider Q2 MultiSet is packaged in a high-quality simulated 'carbon-fibre' finish box. The various components are nestled in two stacked plastic trays, providing protection during shipment and making it easy to find the various components while you install the Scala Rider Q2 on your helmets. Harley-Davidson's 3rd quarter 2010 financial results are in: income climbs as sales drop. Net income totaled $88.8 million, or 38 cents per share, which compares with income of $26.5 million, or 11 cents per share for the same period last year. 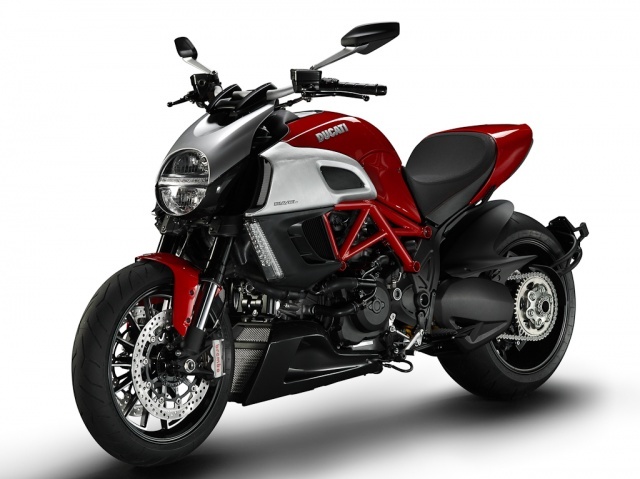 H-D reported a 7.7 percent decrease in motorcycle sales worldwide, including a 9.4 percent decrease in the U.S. The company posted a net profit of 40 cents per share from continuing operations. Revenue fell 2 percent to $1.09 billion. 1913 Flying Merkel Twin in unrestored condition.